Online Translator French To English: Why Is The English Language Considered Difficult? 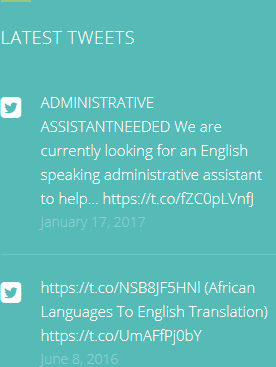 Online translator French to English is not the right career for everyone. There are a number of different skills that need to be mastered; it is not just knowing languages, but also understanding how they work. English is often considered a difficult language to learn – why is this? The main problem that people find when they begin to learn English (whether they are a language translator or not) is that it simply doesn’t seem to make much sense a lot of the time. There appear to be no hard and fast rules about spelling or meaning, so it is hard to work out the language from a structured start. A lot of English just needs to be memorised rather than worked out from other words. As native speakers, it is often difficult for us to realise just what a difficult task French to English translation really is. This is why it is important to ask an expert to undertake such work, and to be prepared to pay a fair price for the work as well. The order of words can often confuse those attempting to learn English. For those who were born to speak the language, the order of words is something intuitive. However, this is not the case for those learning English, especially when their native tongue is structured in a different way. There is often only the very smallest of differences between the right and wrong way to structure a sentence in English, but it can of course give that sentence an entirely different meaning. This is why translators are so highly skilled. When you need the best online translator French to English, come to HQ-Translators. 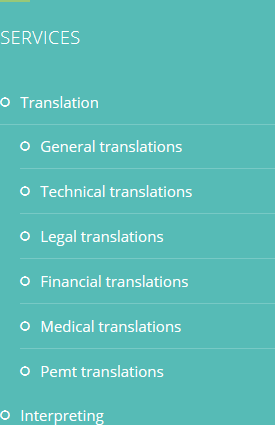 Our website (https://hq-translators.com) gives details of our services, and if you need more information please don’t hesitate to get in touch. 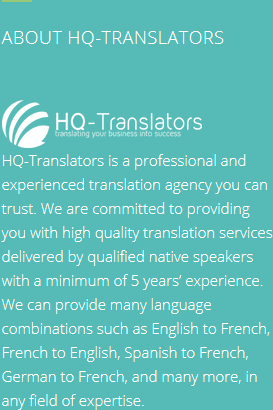 You can phone us on (00 237) 242 71 38 38 or (00 237) 693 21 69 27 or email infos@hq-translators.com.